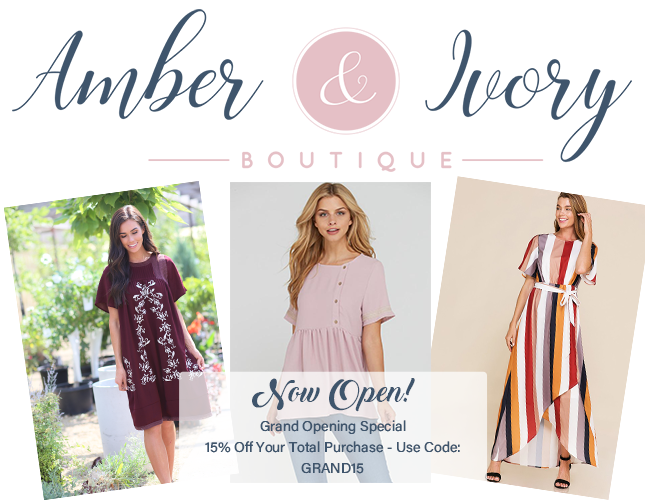 The Ribbon Retreat's Sister Site, Amber & Ivory, is NOW OPEN! We are pleased to be able to offer the same service that you've come to expect through The Ribbon Retreat. An added benefit to our customers: place an order from TheRibbonRetreat.com and any products purchased on the same day from AmberandIvory.com will ship FREE! Make sure to let us know during the checkout process. Follow Amber & Ivory on Instagram -- you won't want to miss out on the fun! Follow Amber & Ivory on Facebook -- lots of fun happening here, too!